I am not sure anyone would have predicted how many thoughts and feelings of so many people would be dedicated to the loss of Robin Williams. Personally, I found myself thinking about it during a morning jog, and the rest of that day. I wondered what clients of mine and everyone else would think about someone probably considered by most of us as incredibly successful, loved, rich, fortunate, and funny taking his own life. How would we make sense of it? Would there be judgment? Would people sympathize or empathize? Would people not at all be able to connect to someone seemingly having so much of what some of us long for and still suffering enough to choose to end his life? Or would this passing not have much of an impact? It turns out my clients and, it seems Americans in general, have been spending considerable time reflecting on the passing. I was astounded how much his passing affected the national consciousness. I was also touched by the gentleness expressed in so many posts online about how his work had brought enjoyment and how much sympathy fans had for him and his family. Initially as I ran that morning, I imagined writing about suicide and how difficult it is for many if us to truly imagine suffering so great we would do almost anything to make it stop. Hoping that with greater understanding more people could bring support to those in need and perhaps create policies and fund research to aid treatment efficacy. Originally I thought I would list some of the predictors of suicide, explain how the primary psychological mechanism was responsible, and discuss which treatments could be preventative, and how there are still people we can’t reach. I planned on explaining that many people who could be helped aren’t and there is still a group of people who receive treatment for which it isn’t effective and that these are the reasons we need more research and more open dialogues about this too common tragic end. But as I listened to people talk about Robin Williams and as I read about him, about all of the other days of his life- not his last one, about all of his other behaviors; all of his other choices seemed so incredibly important. While I can never know what his experiences were, it seems likely from much of what he shared publicly, even mentioning details in his stand-up acts, that he battled addiction. I don’t claim to know what or even if he had other diagnoses, but I imagine that there was considerable emotional and psychological pain that often accompany addiction issues. But with that internal pain, there were still so many days, performances, and interactions. What became clear as I remembered movies of his I had seen, and discovered as I talked to people, was that in part so many people were so moved by someone they didn’t know because of the sheer magnitude of his contribution to our memories- he was prolific. His performances were not only Oscar worthy- but they were frequent – he gave tons of performances for children, adults- for everyone. There is no doubt there had to be many days he didn’t feel like it. Yet he gave. I have found myself many times quoting his Scottish golf bit from one of his performances. In fact, in between finishing that last sentence and this one, I went and watched it again- his performances are that enjoyable. And who won’t laugh while watching Mrs. Doubtfire or laugh and fight back tears watching Good Morning Vietnam? So many days he gave performances- and probably carried emotional pain and psychological conflict with him, even on some of those days. We all benefitted from those choices, our lives have been richer because of those choices- hopefully his life was richer from choosing to work and persist too. Maybe his suffering was far greater than many of ours- we can never know. What I do believe is that as humans, we all carry the capacity to suffer intense psychological pain, and if you can’t imagine that, please consider yourself fortunate. I also believe his great body of work is a testament to what one can do, acting even while carrying pain, instead of waiting for all pain to cease- valuing what is most important, persisting, and persevering. He gave performances that moved us, entertained us, and will continue to do so for generations to come. 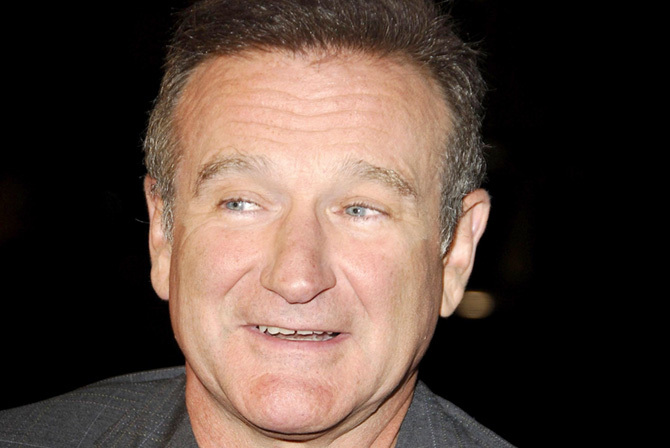 His wife, Susan Schneider, said “As he is remembered, it is our hope the focus will not be on Robin’s death, but on the countless moments of joy and laughter he gave to millions.” While it may seem impossible not to think of his death, if anyone can make us forget about pain and loss, Robin Williams may be the guy. I’ve said many times that I believe humor to be a potent therapeutic tool. In fact, it seems laughter in therapy sessions is typically a very good prognostic indicator from my standpoint. He gave us laughter and joy- what gifts. Those gifts could be enough to make us appreciate him- but as I read there was more. Outside of professional life, and apparently many times outside of the public eye, he gave in other ways. Click here For more information about Depression. I heard an amazing anecdote that may give those of us who didn’t know him an idea of what he found important. Jessica Cole, a young girl, diagnosed with brain cancer, had been granted her dying wish, to meet her hero, Robin Williams. Unfortunately, she became too weak and was not going to be able handle the long flight. After hearing that, Robin Williams paid for his own chartered flight to go to her. Other stories have surfaced as well- all indicating other ways he connected to people outside of acting and stand up comedy. He will surely be missed by his family and friends. He will also be missed by the rest of us whose lives were enriched by his work- choosing on so many days to give his best. Perhaps we can also benefit by recognizing and emulating the behaviors in his life that were dedicated to values like compassion, connection, and generosity. At times we may hope with the next achievement or insight we will discover the life without the dark shadow, the sky without storm clouds, the emotional life free of bad feelings- but are any of us ever free of that? Perhaps that too is why this particular loss, the death of a man that brought us such joy and laughter doesn’t make sense to us. How could he have elicited so much joy and appeared so energetic and ebullient- while at times suffering underneath to such an extent? I hope we can all open up to the possibility that meaningful work and satisfying lives may not be free from emotional pain. Robin Williams most certainly had emotional pain in his life and struggled, and for so many years continued to work, connecting us to him, and to each other. We can all learn from choices like that. As always Kahlil Gibran gives a perspective that may elucidate some of these issues. This entry was posted in Addiction, Anxiety, Depression, Individual Therapy on September 12, 2014 by J Ryan Fuller. Sleep patterns matter- don’t they? Early to bed, early to rise, makes a man (or woman) healthy, wealthy, and wise. Health, financial security, and wisdom are probably pretty valuable for most of us. There may even be scientific evidence that sleep can help in the pursuit of these values. But the recipe of going to bed early and waking up early could be a recipe for disaster for those who are just naturally late risers- and there may not be a need. Unless we are college students studying or partying excessively, most of us sleep daily. Sleep is as common as a behavior gets for humans. We all do it frequently and we spend lots of time doing it relative to other behaviors. Can you think of another single behavior you spend more time doing? Despite all of our experience with it, many of us may not be good at it and may have many questions about it. Is it better for me to wake up early and go to bed early? Is sleep the best way to relax? Is reading a good way to cure insomnia? Is it better to sleep a lot? We are going to look at the answer to this first question, “Does the early bird really get the worm, leaving the night owl to starve?” Early birds and night owls refer to two different extreme sleep patterns- those who prefer to wake up early and those who like to sleep in, these extreme patterns are called chronotypes. Most of the colloquial sayings indicate that a chronotype of sleeping late probably leads to poor outcomes across the board. But research on chronotypes demonstrates something quite different. Research indicates that when early birds and night owls are directed to follow their own natural cycles, night owls may outperform early birds on tasks after a significant amount of time has passed from their wake time. For example, a night owl who wakes at 12:00 pm may perform better on tasks requiring sustained attention at 11:00 pm than an early bird who woke at 6:00 am trying to complete the same task at 5:00 pm. Even though they have both been awake for 11 hours, it seems early birds have a tougher time as the hours pass. Of course early risers likely can get a lot of worms before the night owl even wakes up- so technically the early bird does likely get the first worm. But for those of us who are early risers we may want to take heed and plan accordingly- scheduling tasks that require sustained attention earlier and recognizing efficiency and attention may decrease in late evening. Other research has indicated that rotating shifts, which is often the most challenging shift and has the poorest health outcomes seems to be better tolerated by early birds or those said to have “morningness”, i.e., those who are more alert early, compared to the other extreme of eveningness. Research indicates that sleep quality was much worse for those with eveningness (the night owls) than the early birds. Scheduling shifts or personal schedules according to our chronotype could really improve our output and increase our accuracy, avoiding errors due to decreases in sustained attention, and ensuring that the quality of our sleep is protected. So it may be a good idea to know if you are naturally an early bird or night owl, not forced into that schedule by work demands. And if you are one of the two, you should schedule your tasks accordingly, and perhaps even change jobs or advocate with your employer for the shifts best suited for your biological clock. Chung, M.H. ; Chang, F.M. ; Yang, C.C. ; Kuo, T.B., Hsu, N. (January 2009). Sleep quality and morningness-eveningness of shift nurses. Journal of Clinical Nursing, 18 (2): 279–284. Gibertini, M., Graham, C., Cook, M.R. (1999). Self-report of circadian type reflects the phase of the melatonin rhythm. Biological Psychology, 50 (1): 19–33. Schmidt C, Collette F, Leclercq Y, Sterpenich V, Vandewalle G, Berthomier P, Berthomier C, Philipps C, Tinguely G, Darsaud A, Gais S, Schabus M, Desseilles M, Dang-Vu T, Salmon E, Balteau E, Degueldre C, Luxen A, Maquet P, Cajochen C, Peigneux P. (2009). Homeostatic sleep pressure and responses to sustained attention in the suprachiasmatic area. Science, 324 (5926):516-9. 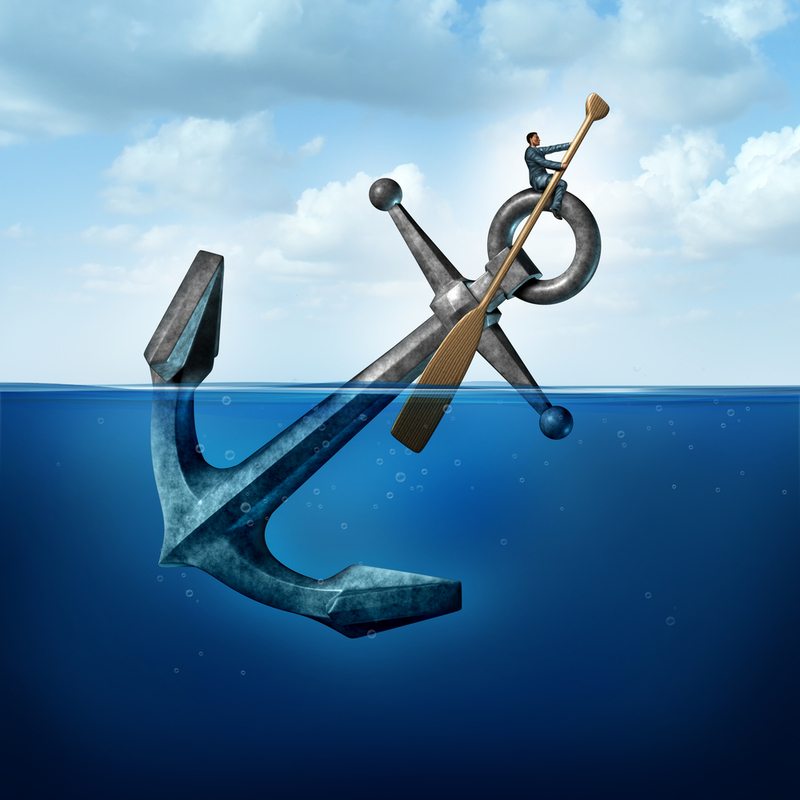 This entry was posted in Anxiety, Individual Therapy on September 3, 2014 by J Ryan Fuller. The psychology of advertising is fascinating to me, or perhaps more accurately put, confusing. Sometimes I spend more time imagining the brainstorming session that developed the idea of Vikings selling credit cards or geckos explaining car insurance, than contemplating whether the products themselves are worthwhile. I recently saw two ads letting me know I would have more access to the internet, uninterrupted financial news on my tablet or cell phone, and access to Wi-Fi while on an international flight. The second was part of American Airlines’ new campaign to let me know no matter where I fly with them, I will have Wi-Fi access. “It is enough to bring tears to your eyes,” the ad says. Despite loving Bloomberg news and being a self-aware workaholic and technophile, tears might come to my eyes and I may deserve an apology, because more of a good thing, even wireless fidelity, may be unhealthy. It may be unhealthy, but it certainly isn’t abnormal to be connected in today’s fast paced world- at least not in the statistical sense. In fact it may be abnormal not to at least be able to “connect” to one device or another. And from the looks of things, the numbers of people who are constantly connected is growing. Although we spend hours per week tethered to our devices, and despite concerns over cell phones being used to detonate bombs by terrorists, Wi-Fi for subway commuters has already been piloted on some lines in New York City. Goodness forbid we aren’t faithful for a few minutes of the day. But faithful to whom or what? What did we do just five years ago? Were we that unproductive, uninformed, and disconnected from friends, colleagues, and customers? Have our goals changed? What are the benefits of maintaining constant fidelity to the internet, even during a 20-minute subway ride? Well, it seems clear that it will be ubiquitous if it isn’t already. It is also clear that the internet provides many benefits. We can do all kinds of things on-line, e.g., order lunch without being placed on hold, read reviews about a general contractor before checking her availability, or post our resume to LinkedIn in hopes of landing a better job. The consequences of those actions compared to the alternatives, e.g., placing a lunch order by phone, trying to call references provided by the contractor herself- seem to greatly favor on-line actions. There is no question, that on-line membership has its privileges. What seems less salient, are the costs associated with being plugged in, all of the time. After all if we are faithfully connected to our devices, from what did we disconnect? The high levels of ambivalence I hear from clients, and workshop attendees when discussing their relationship with their smartphones (and the internet in general) implies there are costs, even if they are not as obvious as the benefits. The double-edged nature of these devices makes it a complicated issue. I often ask if any of them have been out of touch with their precious phones because the phone was lost, stolen, or perhaps they were on a plane, or in a remote area of the world. Then I ask, “What was that like, being out of touch and seemingly out of control?” I get responses like, “It felt great, I felt free,” “Relief, I could breathe.” What might this tell us about the real consequences of our “connection?” If disconnection resulted in relief and freedom, what is constant connection like? Have you ever been without your phone for a full day. What was it like? What thoughts and feelings showed up? Is your pattern of use really serving your interests, i.e., helping you to achieve the goals you value? To identify the healthiest use pattern, you may want to answer a few questions. What is you goal right now? What are the consequences of going on-line right now, both short-term and longer-term? Based on that information, what can you hypothesize drives these behaviors? These questions may help you to understand the function of a particular behavior. Let’s look at two common uses for our devices, in these cases, a smartphone. I often utilize my iPhone to help me find the best route when traveling to an unfamiliar destination. If I look at the pros and cons of this behavior, it seems the pros outweigh the cons, hands down. So in similar circumstances in the future, I will continue to use my iPhone to help me with directions. I also have found myself pulling out my iPhone when I am out to dinner with one other person, and he or she excuses him/herself to the bathroom. Typically, I open my email and check my inbox. Depending on how long the line or what is taken care of, I may then move on to reading a news story. Have you ever felt the urge to pull out your phone when sitting/waiting for someone in a restaurant or coffee shop? For me, the news stories I might read on my phone are not ones that I would necessarily read later, if my companion hadn’t left me alone. What then are the pros and the cons of this kind of a behavior? And what is its function? For me, checking my inbox is typically about reducing my anxiety about some imagined “what if” email that could have arrived and presented me with a task to which I need to attend. Likewise, once that is complete, moving on to read a news story on my phone is less about needing that information at that time, and more about not coming into contact with thoughts like, “What am I supposed to do with my hands right now and where do I look, as I sit here alone at this table (and who knows what other thoughts or feelings that could arise, if I created space for them)?” Here I do benefit from using the iPhone by reducing my emotional discomfort. But, what are the costs? From a behavioral perspective, using my iPhone in these ways is negatively reinforcing. That means an aversive thought or feeling is removed and thereby the behavior is likely to occur again in the future. It is similar to how drinking alcohol may work for someone struggling with addiction. This is not to say iPhone use and alcoholism are the same, only that the function of the behavior can be similar. If I were to walk into a party and become anxious once I see a well-dressed crowd of intellectuals conversing, I may order a cocktail, and begin to sip it. The alcohol acts on my nervous system to reduce my experience of anxiety. I then order a second cocktail and continue to drink. Drinking alcohol in this case would be negatively reinforcing. The negative refers to the removal of something, in this case, anxiety. Reinforcement refers to an increase in behavior, in this example drinking alcohol. What are the potential implications of negatively reinforcing behaviors like these, when they are in response to aversive thoughts and feelings, i.e., internal stimuli? For most of us, it is difficult to totally control our internal experiences, and there is scientific research that indicates attempting to do so may be counterproductive. Therefore some of these patterns can quickly get out of hand. That means, we may find ourselves on autopilot, frequently checking our phones more as a habit than a conscious informed choice (CIC). Checking a phone in that manner, may or may not significantly impact one’s happiness or ability to function. But if the behavior becomes increasingly frequent and automatic, there could be potential problems on the horizon. First, since these devices are carried everywhere (I’ve heard sales calls from men’s room stalls. I almost hope those are automatic and not well thought out decisions), they can be used to ameliorate any, even the slightest, momentary contact with emotional discomfort, e.g., boredom waiting for a ride, frustration with a long line at the DMV, or social anxiety at a networking event. While very effective in the short-run, using mobile devices in these ways consistently deprives of us opportunities to experience these emotional states. It may sound odd, because avoiding “bad” feelings seems to be in large part what many of us have been socialized to believe successfully living is, at least in part, all about, minimizing pain, but at what cost? There are in fact opportunity costs in skipping over or immediately reducing all of these natural episodes of transition or adjustment, which often include mild to moderate levels of discomfort. Using a smartphone while waiting in line may prevent boredom, the same way a wetsuit prevents a surfer from feeling the cold water. There are cold temperatures that in fact could be detrimental to the surfer. There probably is not an amount of boredom likely to occur while waiting in a line that could harm any of us. If we think of the wetsuit more as a metaphor though, the surfer never habituates to the cold water, so if/when either the wetsuit tears, she outgrows it, or forgets to bring it to the beach, she will be sensitized to the cold water, never having practiced habituating to it, or using any strategy to help her surf while fully experiencing the cold temperature. Therefore constant use of a tactic to insulate us from what is uncomfortable may make us more vulnerable in the future by depriving us of the opportunity to learn how to experience these states. Those of us growing overly dependent on our mobile devices may be reducing our internal bandwidth to what we experience well. Imagine a child who was brought up constantly entertained, never having to experience boredom. Can you imagine how well adjusted he/she might be for an entry level position in any industry? When connecting to the internet is used constantly to override any natural downtime or transition time in our day, we may also be depriving ourselves of the few times that in the past we might have used for reflection or a time to be fully present in the moment. If we remove these opportunities we may miss seeing the forest or touching the trees, disconnecting us from both the larger picture and the smaller details and textures of what is right in front of us. Mobile device use is a behavior like any other that needs to be evaluated in context, the situations in which it occurs, the consequences that follow, and the values of the individual all have to be considered in understanding how well the behavior is serving the individual. If you suspect your mobile device use could be in question, I would recommend a few tiny experiments. If you engage in these behavioral exercises, pay attention to what thoughts, feelings, sensations, or memories arise. Perhaps notice if any of your behaviors change or if new ones develop. Are you paying more attention to what others are saying? Are you able to more precisely identify what you are feeling? Do you begin to ask yourself questions about where your life is headed in more than a rhetorical fashion? I recommend starting small. That may mean keeping the duration short, or it may mean selecting to do the exercise every three times you are in the situation. Weaning ourselves through wired/less infidelity can be uncomfortable at first. But if you are willing, here are some exercises to try. 1. Sit on a blanket at the park or a public bench for 15 minutes with all devices turned off or at home. Pay attention to what thoughts, feelings, and sensations arise naturally while you simply sit and watch your surroundings without reading, writing, talking, etc. 2. Identify times you “automatically” pull out your smartphone, e.g., while waiting in a long line and commit to refraining from this every other time you find yourself in that situation. Try not to engage in any other form of distraction either, and again just notice your experience. 4. When you decide you are willing, set aside a block, or multiple blocks of WI-INing time, where you leave your phone in a place you will not see or hear it, or at least put it on airplane mode if you are carrying it with you, and commit to not checking it for the entire time. Examples could be one hour on Monday and Wednesday evenings, or all of Saturday. (if you plan on doing this, it defeats the purpose if you leave the phone, but use a laptop, tablet, etc.). For many of my clients, this takes a lot of negotiation and practice with the other exercises first. For me at least, without practicing putting down my iPhone and experiencing what comes, it is easy to imagine who becomes the tool. This entry was posted in Anxiety, Individual Therapy, Uncategorized on July 11, 2013 by J Ryan Fuller. Dr. Ryan Fuller on how planning ahead can help you avoid stressful situations. Download the Predict, Plan, and Prepare worksheet. This simple stress management technique is called the 3 P’s. It is simple, but easy to forget, so having this worksheet as a concrete reminder may help you to reduce your stress levels around family, holiday stress, or any circumstance. Using it regularly may really help prevent your stress from becoming overwhelming. 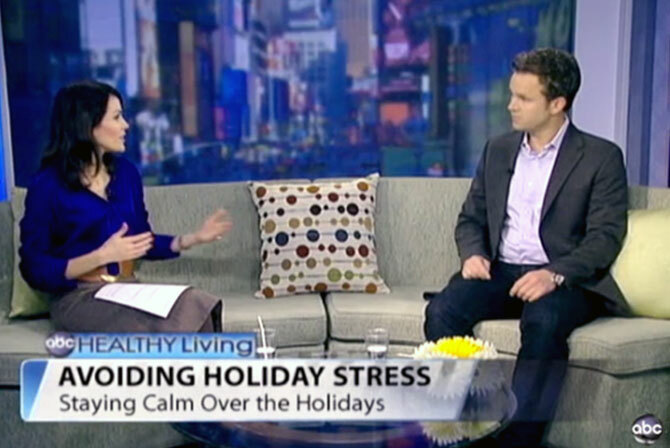 More information about holiday stress and potential stress, eating challenges and other stress brought on by travel. This entry was posted in Anxiety, Family Therapy, Media, Weight Loss on January 7, 2013 by J Ryan Fuller. The Journal of the American Medical Association (JAMA) recently published a double-blind, placebo-controlled trial that found women who took escitalopram (Lexapro) had 50% fewer hot flashes than those who didn’t. For many women, hot flashes can be very debilitating and, as the author of the study states, there haven’t been many interventions that have been effective. Since escitalopram didn’t show any serious side effects, it may be an option that menopausal women whose hot flashes seem unbearable would want to try. This entry was posted in Anxiety, Individual Therapy, Uncategorized on January 7, 2013 by J Ryan Fuller. REBT (Rational Emotive Behavior Therapy) Interview can be heard on the link above. Rational Emotive Behavior Therapy (REBT) and Acceptance and Commitment Therapy (ACT) are compared in terms of how psychotherapy would be conducted. Cognitive Behavior Therapy (CBT) and Behavior Therapy are similar, but are based on different theoretical models. REBT is rooted in a cognitive (CBT) theoretical model, while ACT advocates emphasize models of learning without reliance on cognitive restructuring. Dr. Fuller: Ok, I am Ryan Fuller and I am very pleased to be with Dr. Windy Dryden, the author of well over a 180, soon 200, books on Rational-Emotive Behavior Therapy and many other topics on counseling and psychotherapy. He is currently a professor at Goldsmith College and has a successful private practice and I am pleased to have you in the office tonight. This entry was posted in Addiction, Anxiety, Depression, Individual Therapy, Treatment on February 12, 2012 by J Ryan Fuller. The technology age has a dramatic impact on all aspects of our lives. Being a victim of harassment is no exception. In a previous era, it took a great deal of effort on the part of a stalker who generally followed his target around from place to place by various modes of transportation, whether or not there was any face-to-face interaction. Today, however, you can stalk or bully someone “from the comfort of your own bedroom.” Have you ever been the subject of cyberstalking? According to data presented by psychologists at this year’s APA convention, the effect of e-harassment (in any of its various forms) is more devastating to victims than being harassed in real time and place. It might be due to the round-the-clock access a stalker has to the victim, or the fact that you cannot get away from her without cutting off access to meaningful things in your life—friends, family, job, etc. Besides, access for cyber-harassment is through multiple platforms, e.g., email, blogs, online message boards, voicemail and text messages on cellphones, Facebook and other social networking sites, and Twitter. Victims report fear, anxiety, shock, depression, nightmares, sleeplessness, weight loss or gain, withdrawal, and feelings of helplessness, as well as various physical symptoms. 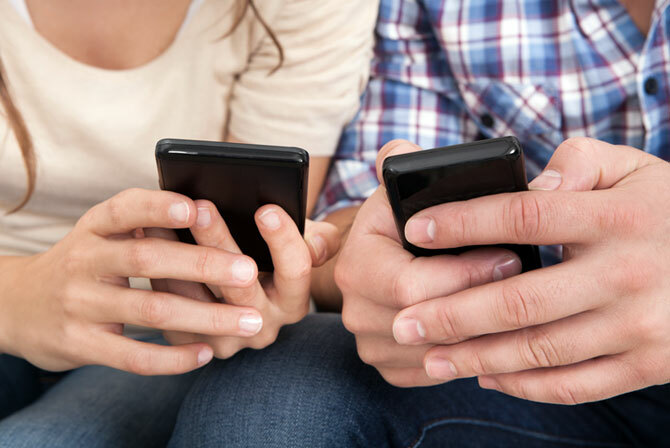 You have likely seen news reports of tragic consequences of young people bullying or being harassed via electronic devices, e.g., assaults, fights, and suicides. As was true in old fashioned offline stalking, most targets of e-stalkers are female. However, what has changed since the widespread use of personal technology devices is that females are becoming online stalkers and/or bullies themselves in increasing numbers, whereas—before the Internet age—it was almost exclusively males who engaged in stalking behavior (unless you count those obsessed women in “Play Misty for Me” and “Fatal Attraction”). What do you think the reason is for this shift? Most e-harassment is carried out by teens, college-age individuals, and young adults. It is sometimes the result of vengeance or just simple meanness on the part of a person who is one half of a romantic couple that has broken up; or it can even be merely the result of a “date gone bad.” U.S. Department of Justice reports that 34% of female and 14% of male college students have broken into the email account of their romantic partner. Response to cyber-bullying is individual in both mode and intensity. People who are prone to depression or to obsessing (e.g., OCD) appear to be affected the most. Research shows (just as it happens with other forms of abuse) that a victim of e-harassment is likely to subsequently harass or bully other people through cyberspace. Have you been a victim of virtual bullying or harassment? If so, were you later tempted to take out any frustration you might have experienced on someone else via electronic means? What can you do to ensure you will react to e-bullying in ways that promote psychological health and safety for you and others? This entry was posted in Anxiety, Couples Therapy, Family Therapy on October 7, 2011 by J Ryan Fuller. For many years now, we’ve heard about the problems postpartum depression can cause a new mother and, consequently, her family. You may have even experienced difficulties yourself from the perspective of a new mom or of a family member impacted by the depressed person’s behavior. Recently, another postpartum disorder has come to light and it can have results that are just as devastating as depression. Some women (who may or may not have previously been prone to anxiety) develop an anxiety disorder after giving birth. Most commonly occurring is obsessive-compulsive disorder (OCD) in which a mother demonstrates compulsions related to protecting her newborn. She may refuse to put the baby in a crib, choosing instead to carry him all the time. She may spend so much time scrubbing all the contents of the nursery—everything that the infant touches—that she is neglectful of his basic needs. Or she may wash the baby over and over again until his skin becomes tender or raw to the touch. Symptoms of postpartum OCD may include disturbing thoughts about her baby’s safety or health, most of which are irrational (e.g., disease-carrying bacteria on a baby bottle or toy, roaches or mice crawling into the crib, etc.). And, as in other cases of OCD, the thoughts are repetitive and recurring, and the new mother feels powerless to push them out of her mind. What would or could you do to help a sister, daughter, wife, or friend whom you recognized as showing signs of postpartum OCD? If you believed the newborn to be in any danger as a result of his mom’s obsessive-compulsive behaviors, what would be the wisest approach to doing something about it? Fortunately, there are effective measures to be taken, but any program has a much better chance of helping if initiated prior to childbirth. Cognitive behavioral therapy (CBT) has been found to be highly successful in treating anxiety disorders. 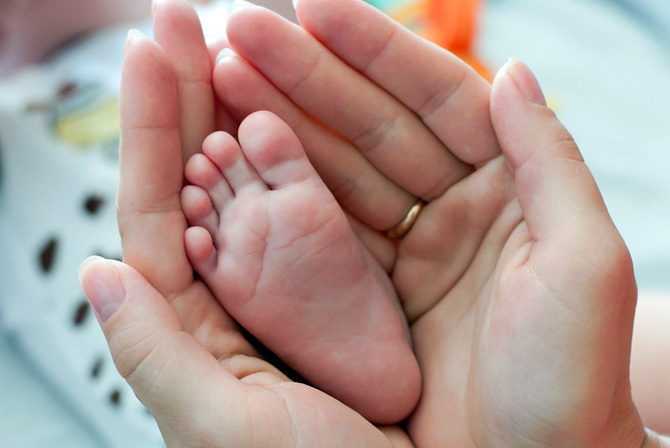 A recent investigation of postpartum, OCD at the University of Miami, therefore, proposed a program using CBT to prevent anxiety disorders and to be incorporated into regular childbirth classes. Pregnant women identified as being at risk for developing OCD were divided into two groups, one of which received the prevention program. These moms-to-be were instructed in how to recognize warning signals of anxiety, panic, and OCD and were trained in techniques to handle their strong feelings (compulsions and obsessions) in healthier, safer ways. Mothers in the program had less anxiety after the birth of their babies, and this effect lasted at least six months, when the last measure was taken. Are you an anxious person or do you experience intense anxiety from time to time? Do you think that some of the training involved in the CBT program of prevention outlined should be offered to all pregnant women? Or should all expectant mothers at least be screened for being at risk of anxiety (and other) disorders? This entry was posted in Anxiety, Family Therapy on September 15, 2011 by J Ryan Fuller. Some people are just natural-born “worriers.” They seem to have inherited a worry gene. You know the type. You may have family members who (or you, yourself may) belong to this esteemed group, always concerned about the welfare of others (or their own). Does that ring a bell? What benefit(s), if any, are there in worrying? If the worrying and certain associated behaviors reach the level of obsession, they are likely to cause problems in one’s career, job, and/or relationships. It might have, at that point, entered the realm of the generalized anxiety disorder (GAD). Most people with GAD worry and obsess about their family, friends, and colleagues. Ironically, however, the behaviors manifested as a result of their anxiety (e.g., over-protecting, enabling, nagging, micromanaging, or, on the other hand, detachment, withdrawal, alienation) tend to sabotage or even ruin their relationships with the very people about whom they are so concerned. Researchers studying people with GAD found that they demonstrated four distinct styles of interacting with others: intrusive, cold, non-assertive, and exploitable. Although the study participants all worried to the extreme and at about the same level, they did so in different ways. Have you ever found yourself exhibiting any of these types of behaviors? Asking your spouse a thousand questions on his/her return from a business trip (intrusive)? Offering only negative criticism regarding your child’s attempt at cleaning his room or competing in her first tennis match (cold)? Most psychotherapists who treat patients with generalized anxiety employ cognitive behavior therapy (CBT) to do so, and it has shown positive results. Psychologists’ recommendations from this study, published recently in the Journal of Abnormal Psychology, are that treatments for GAD should not focus solely on the anxiety/worry issue, for optimal effectiveness, but instead should target both interpersonal relationship and worry issues simultaneously. This entry was posted in Anxiety, Couples Therapy, Uncategorized on August 10, 2011 by J Ryan Fuller. Has yoga gone mainstream in America? Well, it’s certainly not for just celebrities anymore. More and more people in this country are discovering the health benefits of a regular yoga practice. A list rattled off by Sat Bir Singh Khalsa of Harvard Medical School and the Division of Sleep Medicine at Brigham and Women’s Hospital in Boston of problems with which yoga has been found (by research) to help seems endless (anxiety, depression, weight loss/management, sleep, back and neck pain, digestion, blood pressure, etc.). Sounds somewhat like a cure-all, doesn’t it? Experts in the art, however, are very careful not to make claims like that, but research has shown that yoga can boost the immune system, reduce stress, and help you handle all sorts of stress and pain more effectively, even those associated with cancer, improving quality of life. 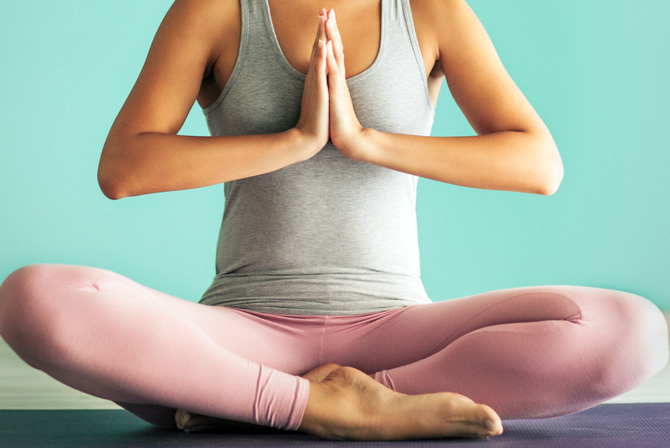 That benefit alone (stress relief) would seem to make yoga a positive goal on everyone’s list. The US National Institutes of Health tells us that the proper practice of yoga features a combination of posture, breathing, body awareness, relaxation, and meditation. And it’s important for novices to find a good instructor who puts the right balance of emphasis on these three: posture, breathing, and meditation. Want a healthier body? Add yoga to your life. This entry was posted in Anxiety, Individual Therapy, Weight Loss on February 2, 2011 by J Ryan Fuller. For many women, hot flashes can be very debilitating and, as the author of the study states, there haven’t been many interventions that have been effective. Since escitalopram (Lexapro) didn’t show any serious side effects, it may be an option that menopausal women whose hot flashes seem unbearable would want to try. Although any time one is considering medication, thorough consultations with one’s physician(s) is recommended. This entry was posted in Anxiety, Individual Therapy on January 20, 2011 by J Ryan Fuller.